Property Divas has recently partnered with Enness Private Clients – a high net worth mortgage brokerage based in Mayfair as they are a natural extension of our service offering. Enness Private Clients specialise in helping their clients to source mortgages all over the UK, particularly in London. The fact that last year alone they advised on half a billion pounds of mortgage transactions speaks for itself. They also work with every lender that will lend in the UK – mainstream, private and offshore banks. Property Divas and Enness Private Clients have chosen to work together as our businesses naturally complement each other. Once Property Divas have sourced the perfect property for you, our clients, you need to make sure that your financial arrangements are in order and approved so that the process can move forward. They work with clients from all over the world – from non-domicile overseas investors, to bankers with bonus schemes they want to use as purchasing power, to UK-based buyers wanting a new family house. In fact they work with clients from all strands of professional life. Enness are one of the largest producers of million pound mortgages in the country. Enness’ advisers are very familiar with not only the lenders themselves, but their preferences and criteria in this regulated sector of the market. This means that they will make sure that your information is presented in the most comprehensive way to the correct lender for you. As such, their brokers will deliver you with extremely competitive rates and multiple solutions for your property financing requirements. Enness will competently secure you the best terms; making sure that your decision to make a commercial investment pays off. If you are a non-UK national keen to invest in London then proceeding with Enness could be a good course for you. One of their main strengths is that they work with lenders that are able to assist them in virtually all circumstances. With 30% of their clientele not holding a UK passport they have managed to help clients from all over the world – from Russia, to the USA and the Far East – successfully arrange mortgage finance in the UK. 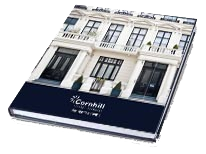 Cornhill FX Ltd specialises in helping property buyers save money on their foreign exchange transactions. Whether you are purchasing a property overseas or migrating to a fresh start, we specialise in undercutting your typical high street Bank, and provide a service harnessed around individuals who want to reduce their exposure and maximise the returns on the foreign exchange market. We take a proactive approach to building client relationships which sets us apart from other providers and strive to go that extra mile when it comes to saving our clients’ money. As well as access to the most competitive rates in the foreign exchange market, we are aware that many private clients have no prior knowledge of the currency markets, so we avoid using jargon and lead the client through the entire process. HomeLet's mantra of "taking the risk out of property rental" appeals to Landlords and Tenants alike. Whether you are a Landlord wanting to protect your rental income, your investment property or your liabilities; or you are a Tenant with personal possessions to protect. HomeLet will be able to help you.